Woodcroft soccer is a part of the Triangle United family. Known as "Triangle United at Woodcroft" since Triangle United started running the program in 2006, this program provides a fun place to play soccer each season for hundreds of kids ages 3 to 14. One weekday practice session and one weekend game is the normal weekly schedule, depending on the program you choose. There are also some weekends each season where teams are scheduled to play two games, one Saturday and another on Sunday. Most of the action happens at the Woodcroft athletic fields (at the Woodcroft Swim & Tennis Club location) off Woodcroft Parkway in south Durham, but there is also some use of the Triangle Church Fields as well as Rainbow fields in Chapel Hill. 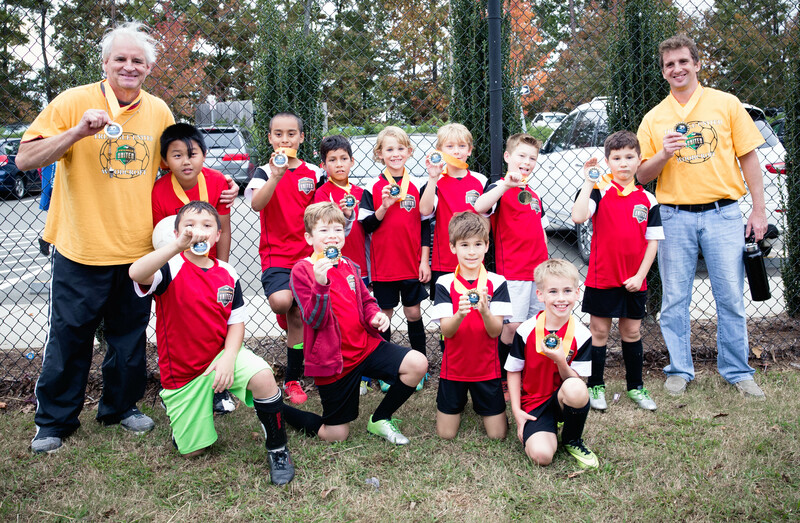 Triangle United at Woodcroft continues the family-friendly, local soccer tradition long established at Woodcroft. Players can enjoy the recreational level from ages 3 to 14. To register for Triangle United at Woodcroft click here or go to the Registration tab at the top menu bar and select "Recreational Registration"